Very many thanks for wanting to make our main road safer. “Parliament Week” is a programme that connects people with parliamentary democracy in the UK. It has nothing to do with any Party politics. 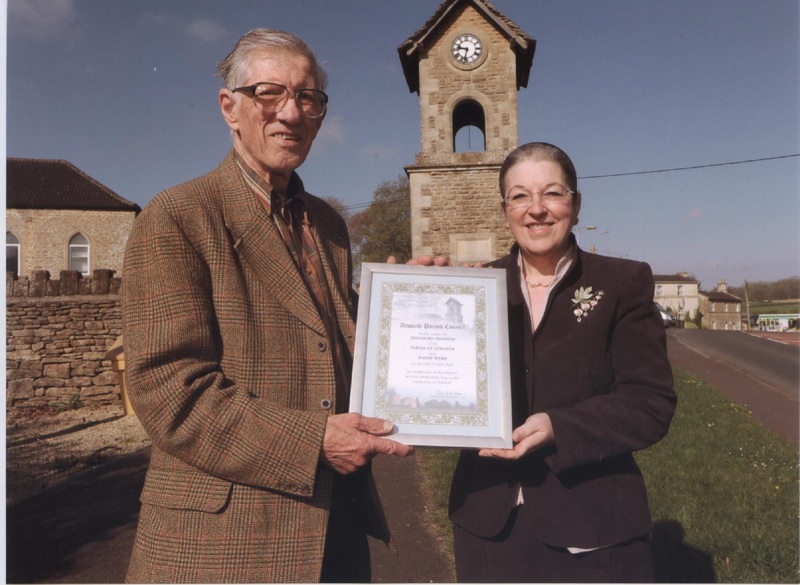 Atworth Parish Council became Parliament Partners in September 2014 and took part for the first time with an “Any Questions?” session on Monday 17th November. The aim was to encourage young people to speak up and take an active part in our democracy. Effie Gale-Sides and Alan Bagnall, of Atworth Parish Council, and David Webb, Honorary Freeman of the Parish of Atworth, met questions from twenty representatives of Atworth Youth Club and Ceri Evans Community Youth Officer for the Melksham community area. It was hugely enjoyable with lots of queries and viewpoints being expressed about current local and wider issues. 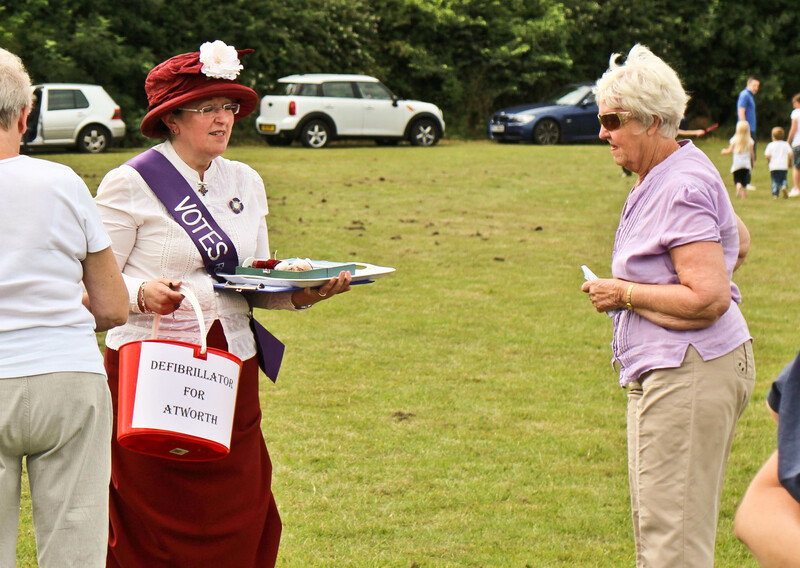 Effie described the event as impressive and the young people as being very knowledgeable with a keen interest in a wide range of village issues. She was delighted with the turnout and the consideration given to the many questions asked. 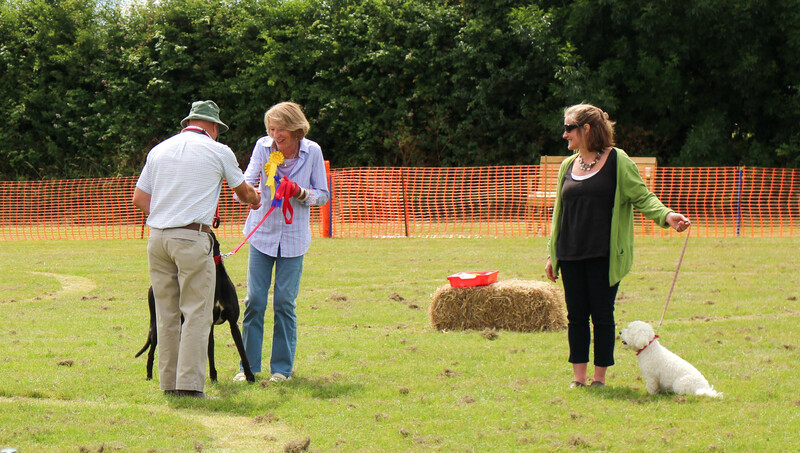 Thank you to everyone who attended and made it such an interesting and worthwhile event. Also many thanks to Kirsty for the use of the White Hart Skittle Alley when the Youth Club was found to be not suitable following recent flooding. The community apple press was at The White Hart, Atworth, on 21st September from noon to 3.00 p.m.
Apples were pressed at no charge, however a suitable container in which to take home your apple juice was needed. 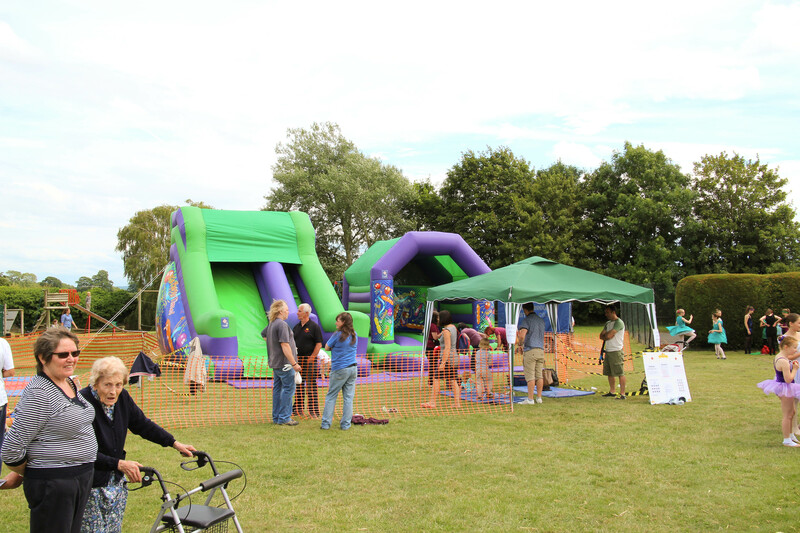 There was a small response from the village but was well attended by people from the surrounding area. It is hoped that the press will be here again next year. Seventy Five people met at the Clock Tower with candles and torches for Atworth Lights Out to mark the centenary of the start of Great Britain entering the First World War. The half hour service led by Effie Gale-Sides, Rodney Price and Lynne Spencer included historical information, poetry, prayers, prose, songs and hymns. It concluded with candles and torches being extinguished as the Clock Tower struck 10 o’clock. The Clock Tower light was switched off and the Last Post was played. 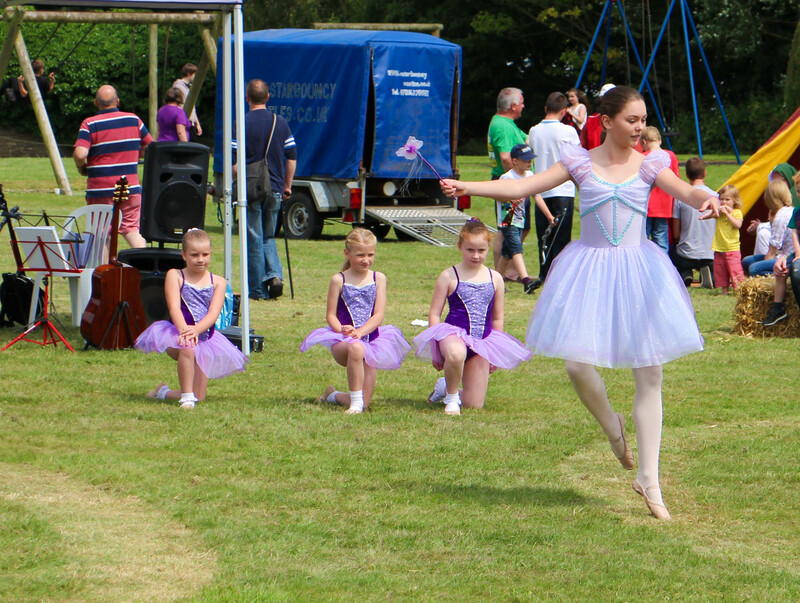 The event was very well received and was later described as moving and memorable. Everybody welcome – 9:30 pm at the Clock Tower. 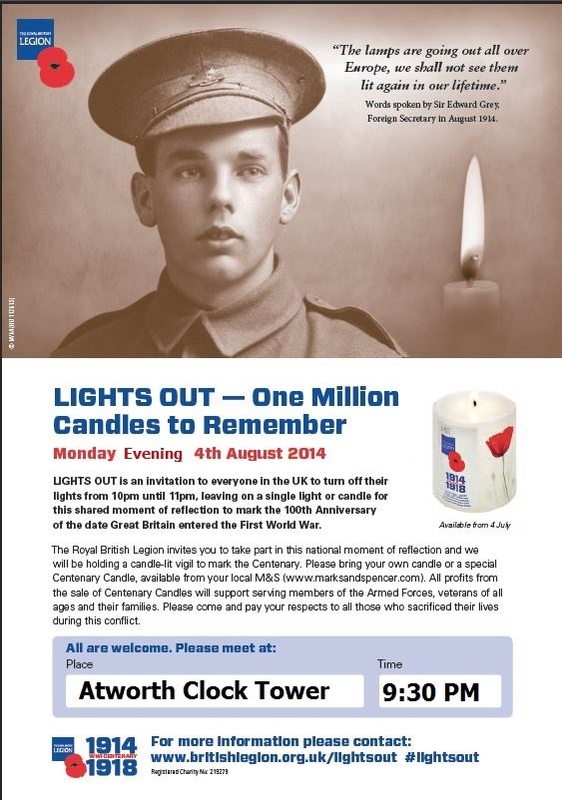 Please bring a safe candle, tea light in a jam jar or a small torch. If raining, please still come along as cover will be arranged. 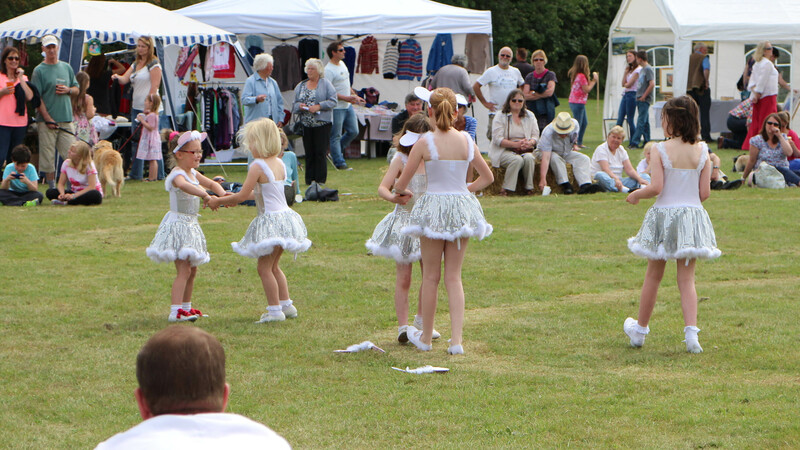 The Festival was to celebrate 100 years since the Fuller family gifted Atworth Institute, (now the Village Hall) and the Recreation Ground to the people of the Parish. 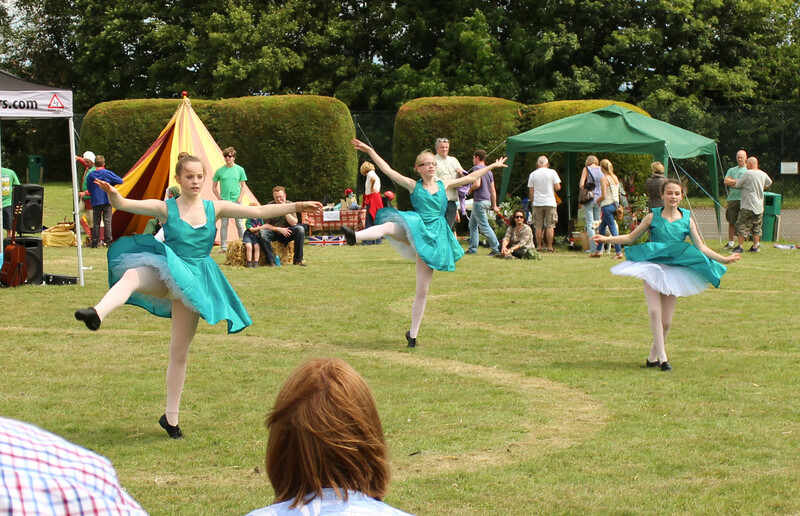 All proceeds from the Festival will go to refurbishment of the Hall, with a collection of £145 generously donated towards the village defibrillator. 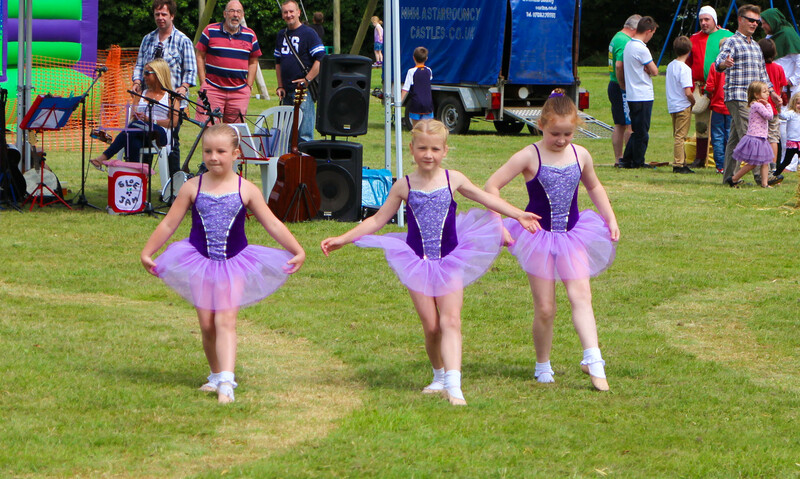 The event took place on the Recreation Ground and also in the Hall from 11.00 – 5.00. 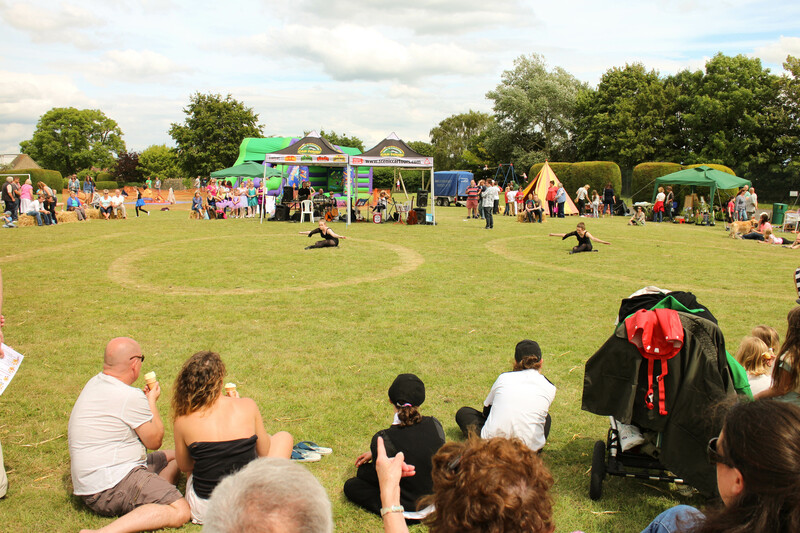 A main arena with a full programme of events , a fun dog show , Sumo suit wrestling, incredible Silent Auction and live music were amongst the many attractions offered. 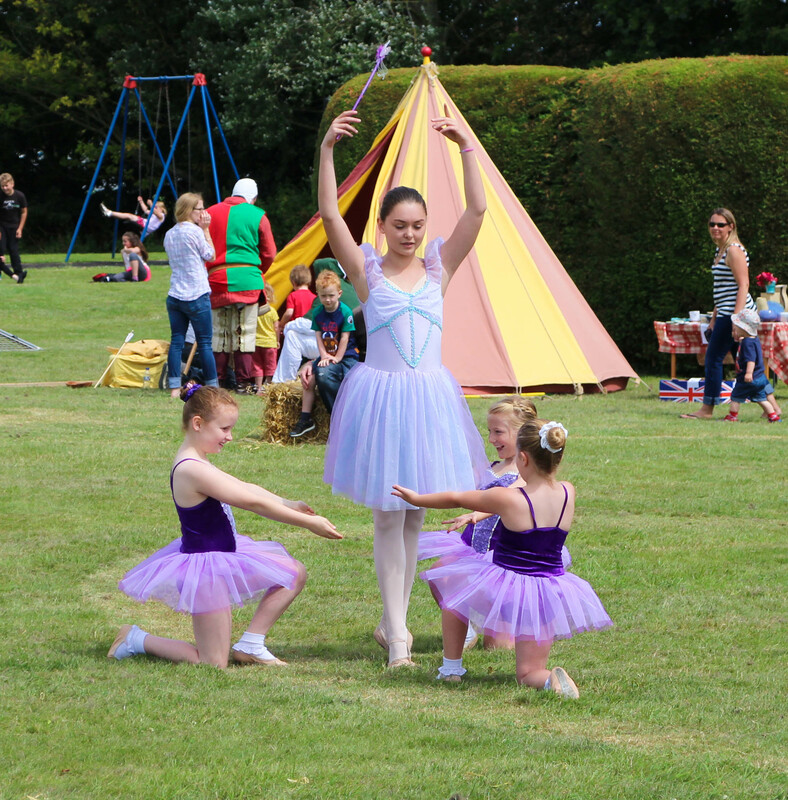 The day proved to be an outstanding success with a vast number of people attending, many of whom stayed for the entire day. 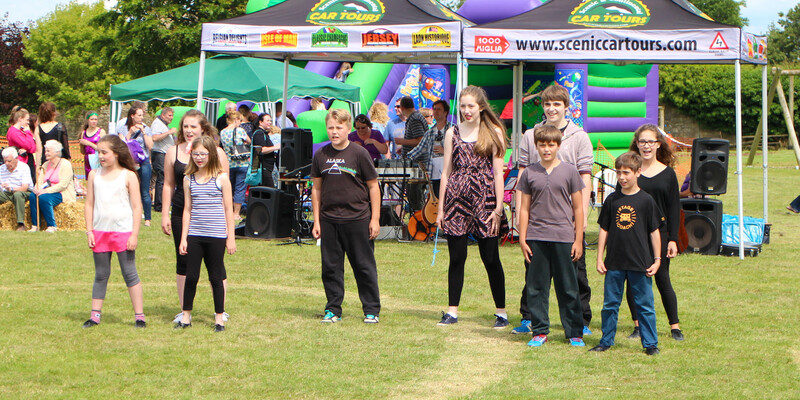 The sun shone and it was evident that this family event was a tremendous success, enjoyed by everyone. 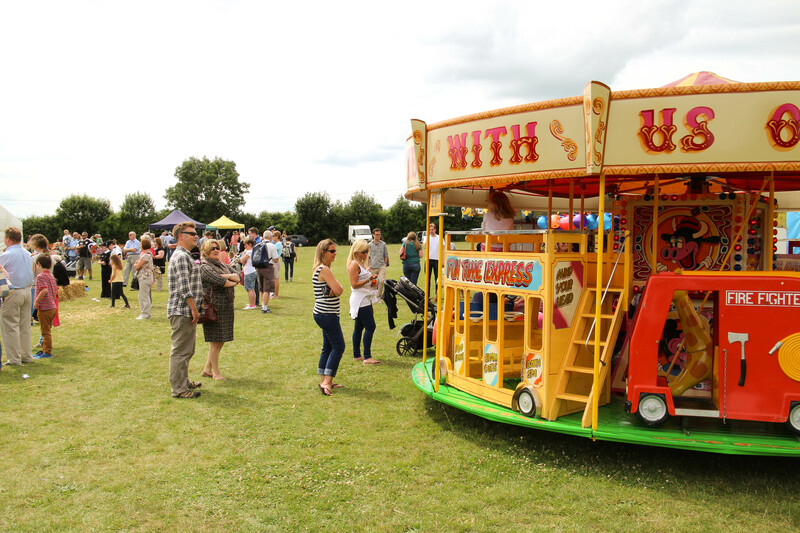 There were plenty of picnics going on, children played on the play equipment, the arena and dog show constantly surrounded by people munching on burgers, drinking Pimms and beer, and eating delicious homemade cakes. 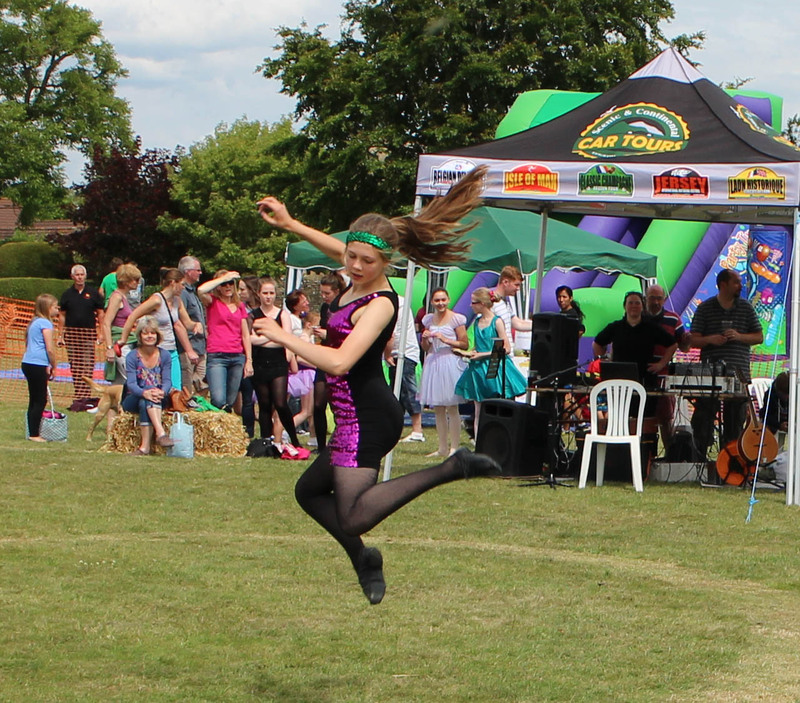 It was a truly splendid day which brought the whole village together. 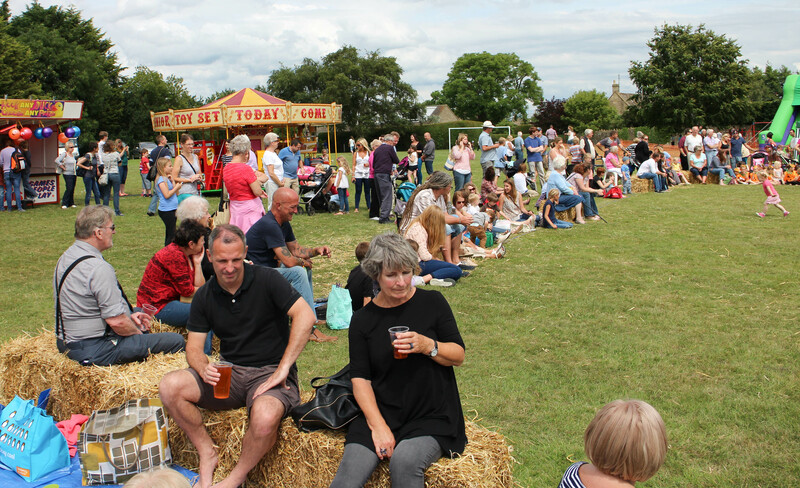 The Parish Council would like to give its heartfelt thanks to Richard Clark – Village Hall & Recreation Ground Chairman, Steve Hornby – Atworth Village Festival Organiser and their extremely hardworking team for this incredible achievement. 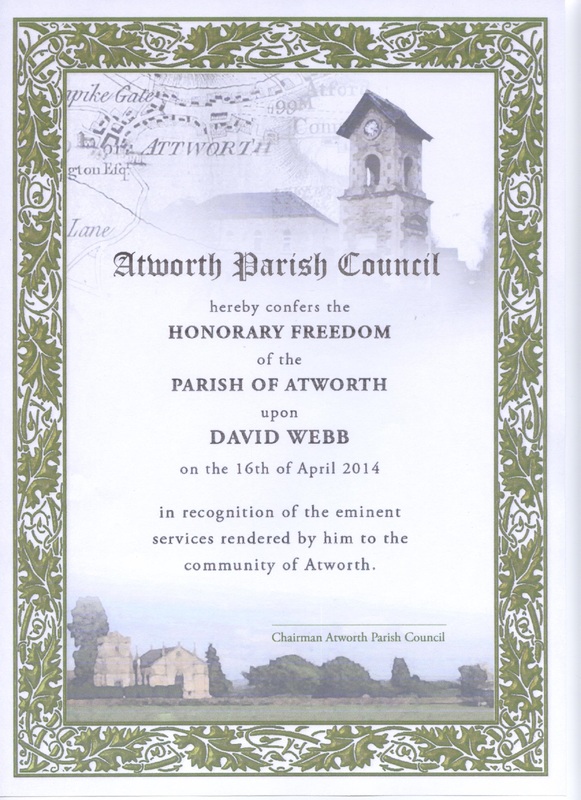 The award of Honorary Freedom of the Parish of Atworth for David Webb took place on Wednesday 16rth April at the Annual Parish Assembly. There was an introduction by the Town Crier, and a congratulatory address by Sir James Fuller. The Chairman presented David Webb with a beautiful framed certificate and his wife with a gift of flowers. A transcript of the short presentation is available from the link below.